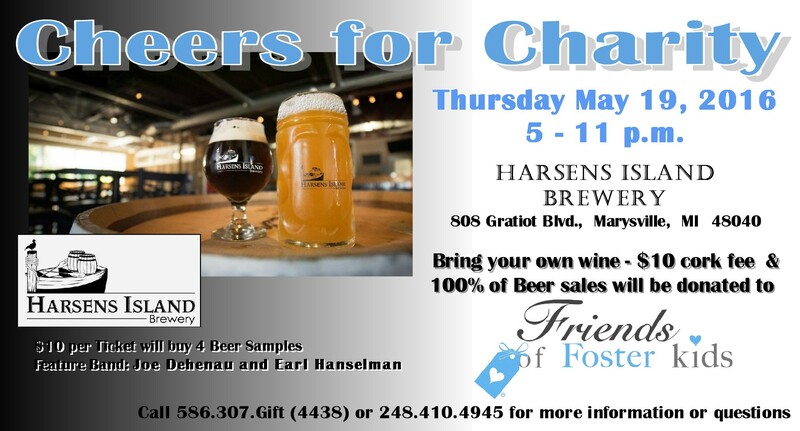 Harsens Island Brewery cordially invites you to a fundraiser for Friends of Foster Kids on Thursday May 19, 2016 from 5-11pm. $10 per ticket will buy 4 beer samples. 100% of Beer sales will be donated to Friends of Foster Kids. Bring your own wine for a $10 cork fee donated to Friends of Foster Kids.